Church & view from the infinity pool in Sangha Retreat. AtOne Hotel entrance in Sangha Retreat. AtOne Hotel and infinity pool in Sangha Retreat. 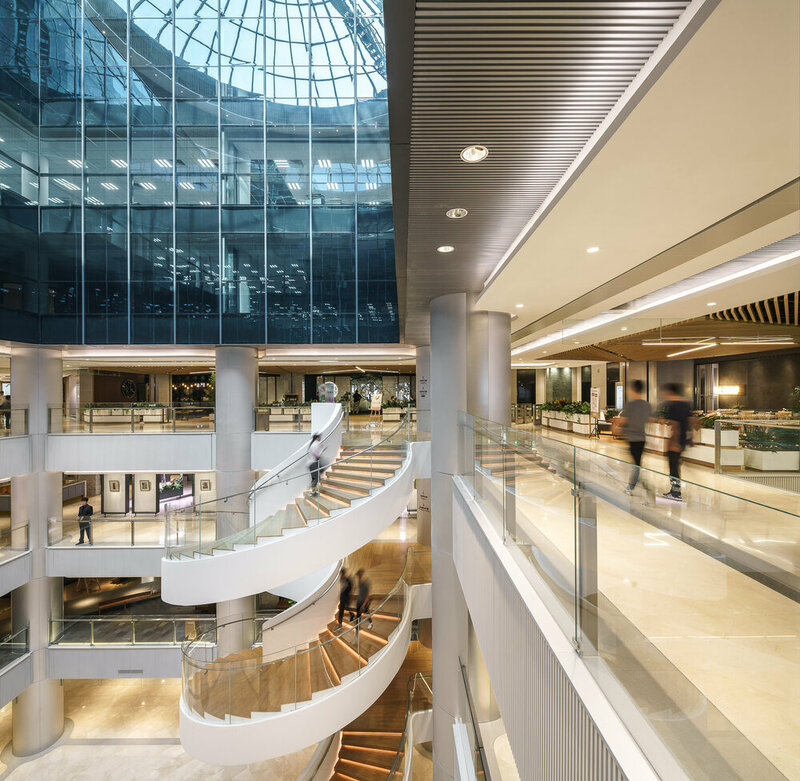 Kokaistudios has completed the architectural and interior design renovation of COFCO Plaza. 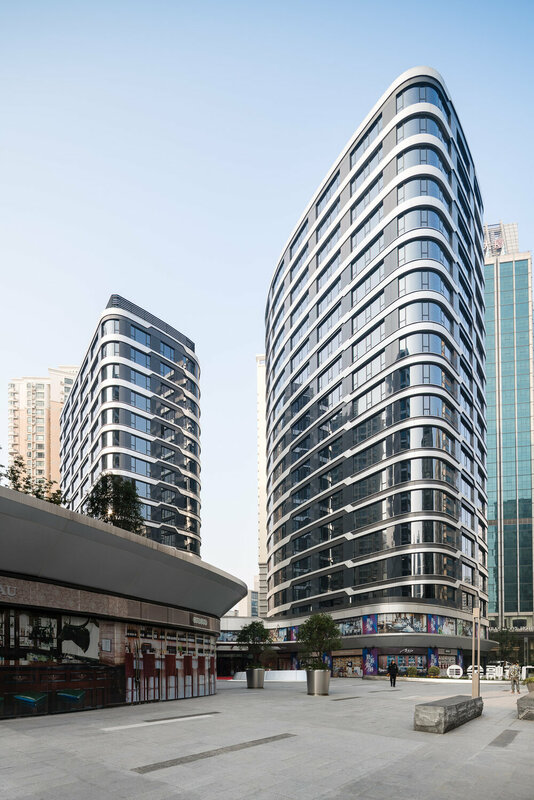 Built in 1996, the building occupies one of the best locations in Beijing, along Jianguomen street at the cross with Chang’an Avenue, 1km away from the Forbidden City. 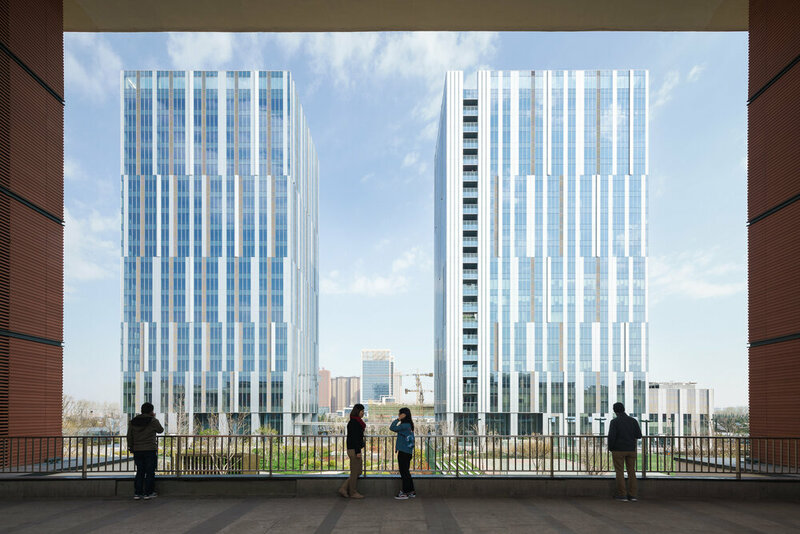 Two V-shaped fourteen storey office towers cut into the surrounding urban environment at a 45 degree angle. 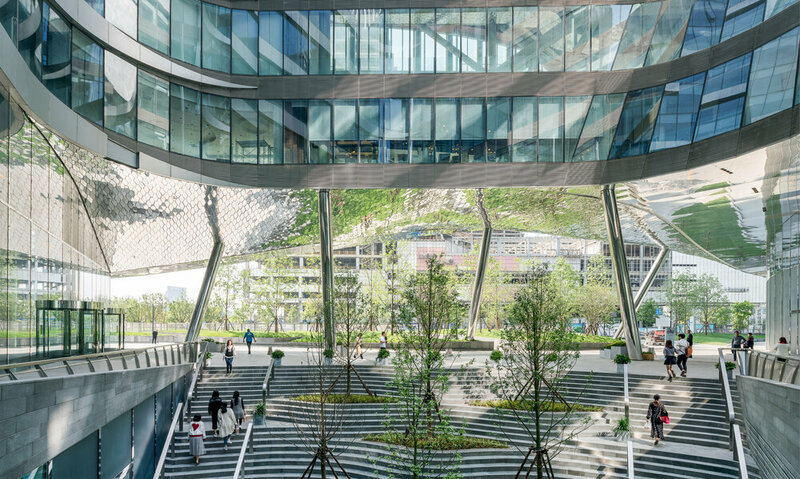 They are linked together by the central square shaped complex, creating a structure with sharp corners and a strong sense of geometry. The re-development focused on "innovation through renovation", a concept that has guided many of Kokaistudios' previous work. 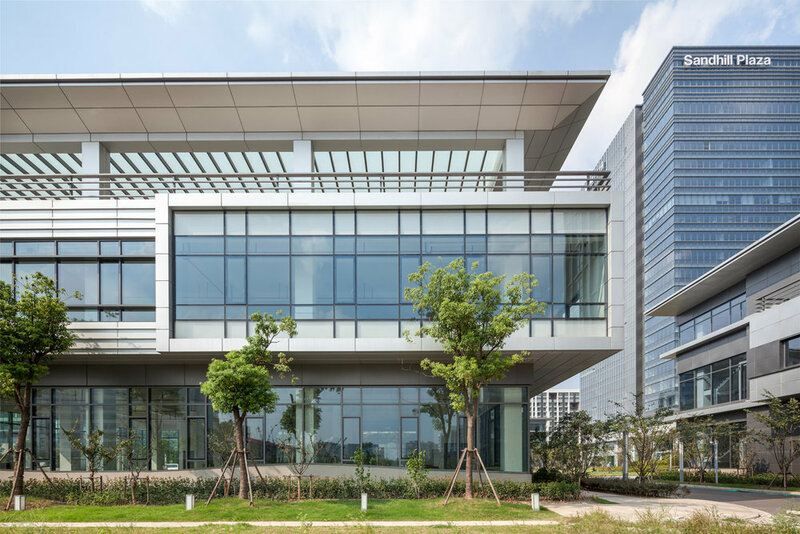 The firm strived to enrich the urban fabric by re-purposing and re-examining the potential of existing buildings. The architects worked closely with COFCO to understand the brand in order to translate the culture into a spatial experience. 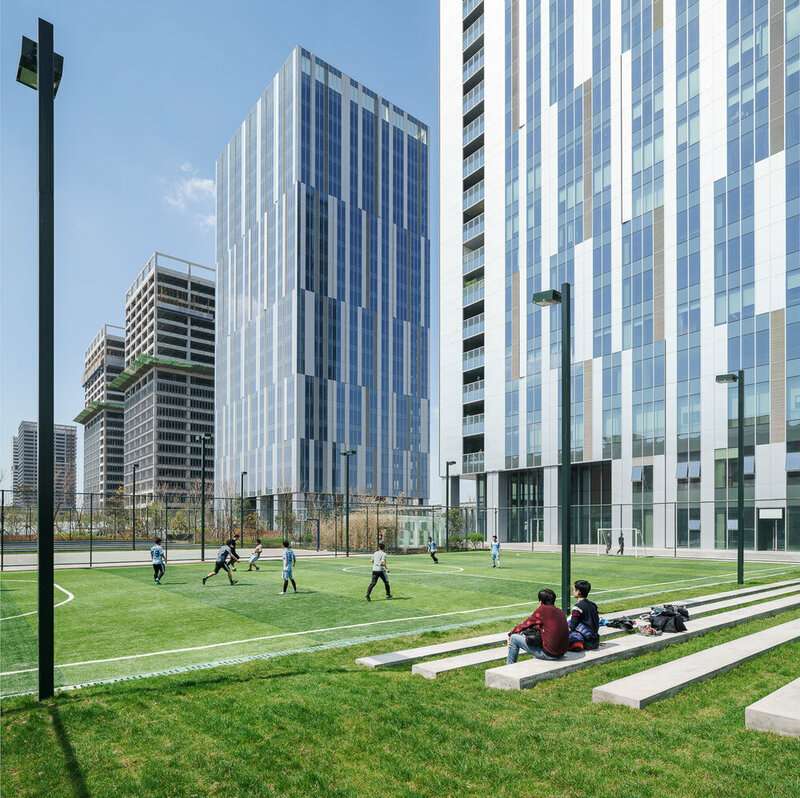 Sandhill Plaza is located in one of the largest industrial parks in China, Zhangjiang High-tech Park. 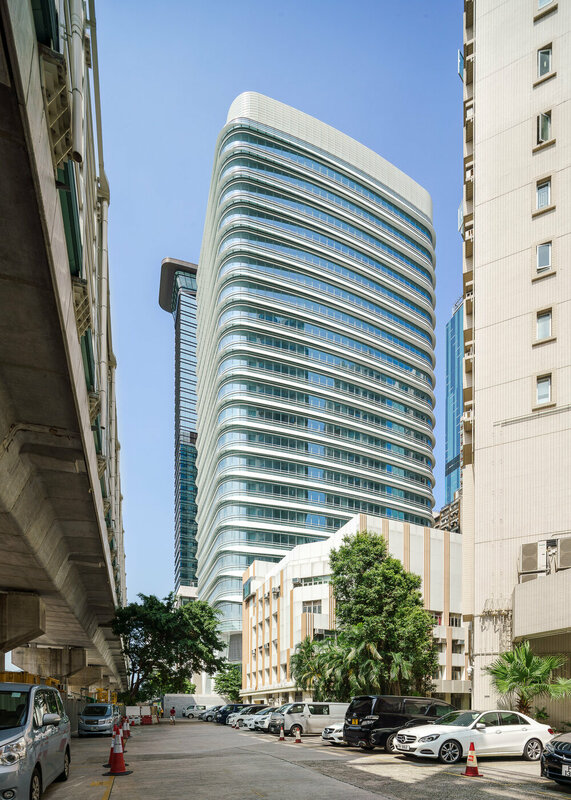 Designed by B+H Architects, it is a mix-use development that includes a high-rise R&D tower, office and retail buildings, and a generous amount of public space. 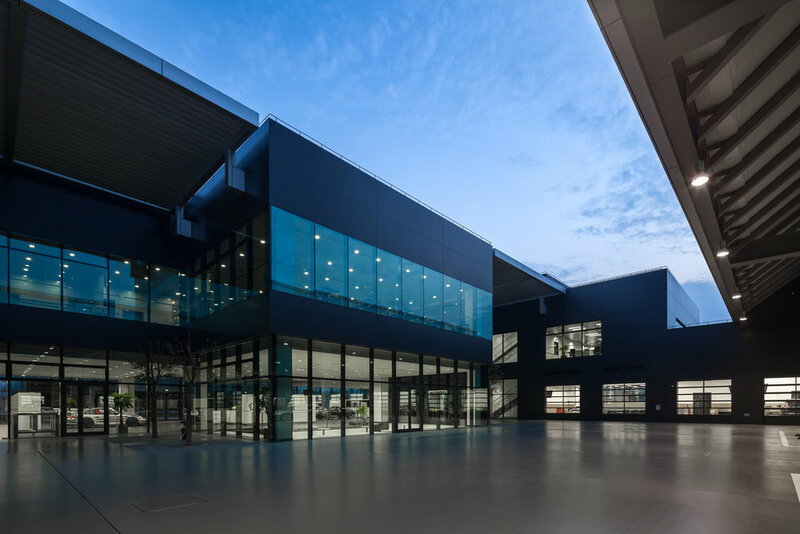 The all-new Porsche Training Centre, the largest in the world, opened in Pudong, Shanghai in 2015. 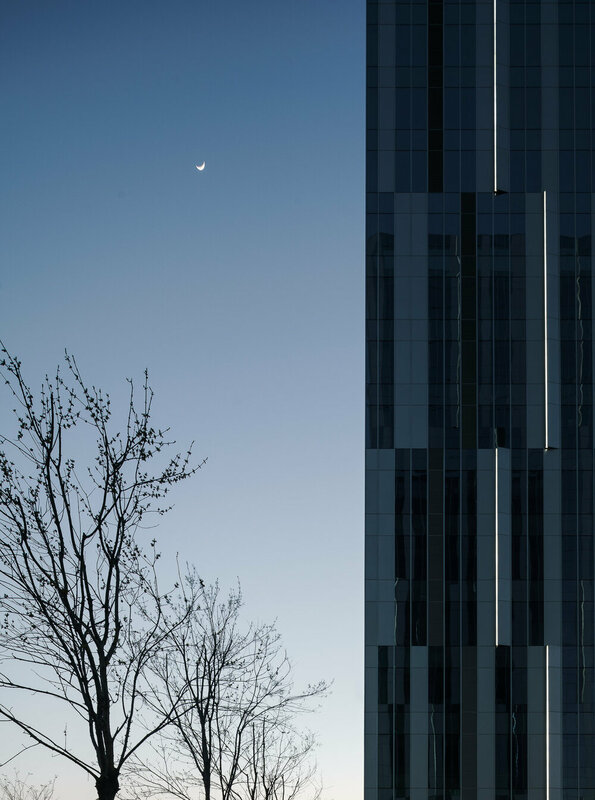 The two-story facility declares its identity with a distinctive Porsche design of jet-black cladding and sharp edges.